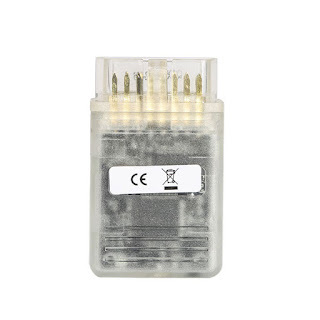 Tip 2: tprot on vag are present from 05/2009 but is very random this option, is most present on engine with low power and is not compeer to years or ecu type. Tip 3: desold resonator, clean central hole, place a piece of ribbon or paper on central hole, resold up the quartz. Tip 4: don't use FGtech china for checksum correction, there are better ways like using Winols or something in that way. Tip 5: Important is also U2. You have a rezistor and a cap instead of tranzistor and it has impact direct in bdm and bootmode. Tip 6: U2 "S5B" is the same as "ADAA". Made by texas instruments. Tip 7: You should have only one missing resistor, 4.7kohm near U19. The rest are empty places. Tip 8: BDM timing is dependent of software and system clock (crystal or ceramic resonator), other components can't have no effect in speed. Tip 10: the 70% of problem on this tool is not HW but SW....bad cracked and without stability (and old for v54_0386)....on HW you can play how you need. Tip 11: V54(0386) is poor cloned version. Firmware need downgrade to V53(0475), then can use newest(11/2012) soft which is also better cracked than V54 soft. Tip 12: SN 0386 and SN 0475 both is fw53 not 54 ! Tip 13: fg 49-50-51-52 are ALWAYS v48! Tip 14: Galletto eu have ONLY pcb better, nothing else! Tip 15: desold resonator Y1, clean central hole, place a piece of ribbon or paper on central hole, resold up the quartz. -aes use the same SW and FW of v54 china, very bad! 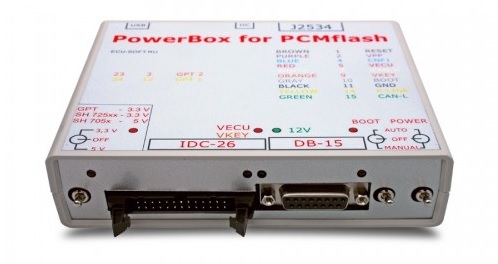 Original PCMflash works with a Powerbox for PCMflash for $800 around. Module 29 – Ford PWM – Requires Ford VCM2. KTMflash ecu Programmer Reads/Writes ECUs- How to? and the like cannot be installed in your PC/laptop before; that is, for your PC/laptop, it must be the first time to install KTMflash software. You’re asked to re-install a clean operation system and install KTMflash sw with the help of a video of installation tutorial; otherwise, your device would be locked. (KTMflash English... and KTMflash software...) inside the CD you should have. You can find out software and real tests which helps you a lot to use KTM flash. 4 The reason for why do you buy KTMflash is that, it’s good at reading Infineon ECUs and gearbox (transmission) ECU. 5 When you are reading encypted Infineon or ECUs, please read the password file (with reference to our video here). If the sw asks you to TURN OFF THE POWER SUPPLY FOR 2 SECONDS, please follow it.If the power is not off for 2 seconds, the pop-up might be appeared again in the interface. So, just turn it off for 2s and use the sw.
6 PLEASE FOLLOW THE VIDEO AND TUTORIAL TO CHOOSE THE SWITCH YOU’RE GONNA USE.